YMCA East Surrey’s Inclusive Sports Project has been awarded £17,990 by the Postcode Community Trust, a grant-giving charity funded entirely by the players of People’s Postcode Lottery. 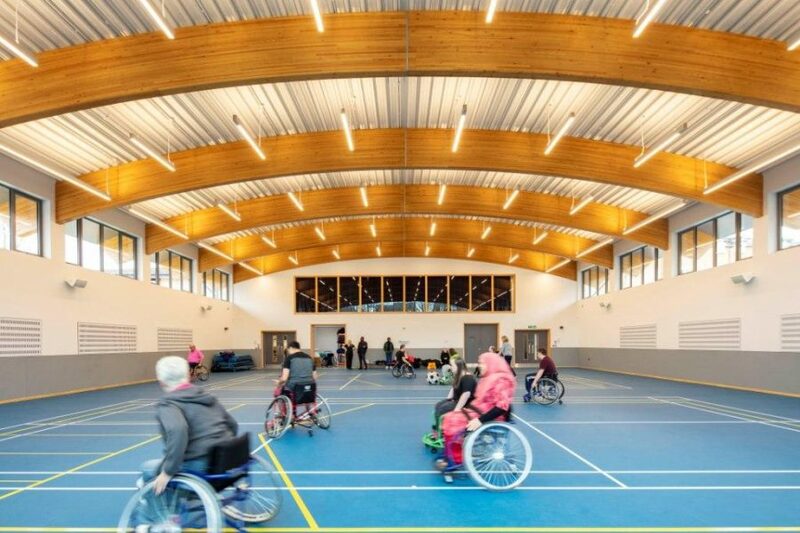 With this funding, YMCA East Surrey will be able to expand its range of disability sport and physical activity sessions within their new flagship Inclusive Sports Facility. Recently completed, this state-of-the-art £2.6 million building houses a new sports hall and activity room, accessible toilets and changing facilities, making it a Centre for everybody, regardless of age or ability. Due to the funding support from the Postcode Community Trust, it will be possible for a further 200 people with disabilities or long-term health conditions to take part in sport and physical activity through an additional 25 sessions per week, including Rugby with London Irish Rugby, Walking Football, Kurling, Polybat, Goalball, Dance, Yoga, Junior Boccia, supported Gym sessions and multi-sports sessions. The local charity is also in the process of developing a new disability badminton programme in partnership with Badminton England, as well as Pickleball (which is like tennis) and wheelchair basketball. Lack of physical activity increases the risk of chronic health conditions and mental health problems. People with disabilities are less likely to be physically active – 43% are inactive compared to 21% with no disability – so their risk of developing other health conditions is greater. Those with disabilities are often more socially isolated due to decreased mobility and independence and the project will also help to reduce this isolation by increasing opportunities for social interaction and the development of friendships with their peers. YMCA East Surrey plans to host a number of disability sport tournaments such as the Surrey Boccia League and an inclusive sports festival for young people with disabilities.